My family had been in the Everglades since the late 1800's. The Everglades has provided for my family in all this time. The Glades are our backyard and we know it just like you know your own backyard. Allow us to show you the best backyard in the world. 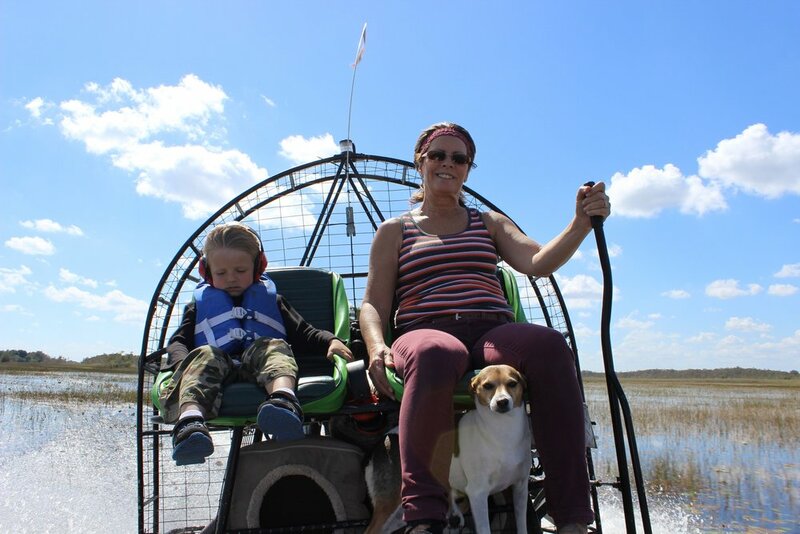 We presently have three generations active in the Everglades. To the right I have a picture of myself and my oldest son Alex. He is very active in the Glades and is one of the best captains I know. The bottom picture is my father and my youngest son, Rhiley. Rhiley is out with us as often as possible and hopes to run boats like his big brother soon. My father has shown me everything I know about the Glades. He is another amazing captain we have. My father (Gary Sr) and my youngest son (Rhiley). Myself and one of my daughters Natalie. I have also pictured my mother and one of my daughters. Both of them are just as active as all the boys in the family. My mother is our photographer and is awesome at what she does so please feel free to surf our photo gallery. 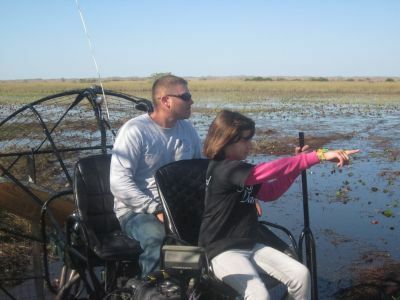 My family enjoys getting out in the Everglades. Top row: Rhiley and Alex. Middle row: Myself Gary and Casey. Bottom Row: Kaylee, Violet, Natalie and Ivory.